Services – Dyslexia Reading Connection, Inc.
All onsite tutoring is individualized and takes place at our location on Ballard Road in Appleton, WI. Tutoring is conducted at the pace of the student. Multisensory techniques are used to engage all learners regardless of learning style (visual, auditory, or kinesthetic). These techniques assist with retention of information and strategies. The student and tutor form a strong bond since they are working face to face twice per week. This convenient online tutoring modality is similar in design to onsite tutoring; however, the student receives tutoring from the comfort of their home/school. We have several requirements for a successful online tutoring experience, please click on the student agreement link to see if you qualify. Zoom is an online web conferencing tool used where the student and tutor can see each other, talk, screen share, and complete activities just as they would in an onsite tutoring session. Whizzimo is a web-based platform where the Barton Reading & Spelling System is housed. All activities, worksheets, rules, etc. that are available in onsite tutoring are available online. A variety of tools are used for math tutoring, including Adobe, Microsoft, and Borenson Math. Online tutoring may not be for everyone. Children below the age of 10 and children with ADD/ADHD may struggle in this environment. Blended tutoring offers the convenience of online tutoring one day per week with structured onsite tutoring one day per week. This blended tutoring option allows for more flexibility in scheduling for a busy family while allowing for a consistent face to face onsite tutoring session once per week. You can register for tutoring by completing this form. 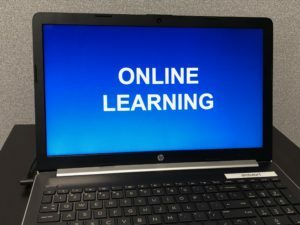 Welcome to the online business services of Dyslexia Reading Connection, Inc. For your convenience, you can pay your tuition or fees, download the latest registration form, or make a donation from your home computer. Secure Online Payments may be made using your credit card, debit card or bank account through PayPal. 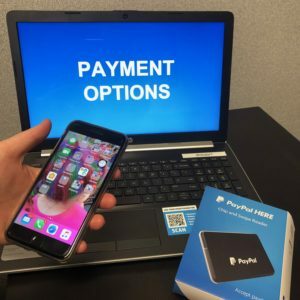 PayPal provides a safe, quick and simple means to pay online using SSL encryption to protect your private information.